The next big expansion coming to Star Wars Battlefront is the new Death Star DLC, which will allows players to fight inside the iconic battlestation, as well as outside it in space. We have been getting a lot of teases about this new expansion pack, and now with it's release coming very soon, EA is ready to spill the beans on everything it will include. We're getting a new trailer on Friday, but a ton of details just dropped on EA's official site. First off, EA officially revealed details on Chewbacca and Bossk, the new playable hero characters that will be part of the DLC. 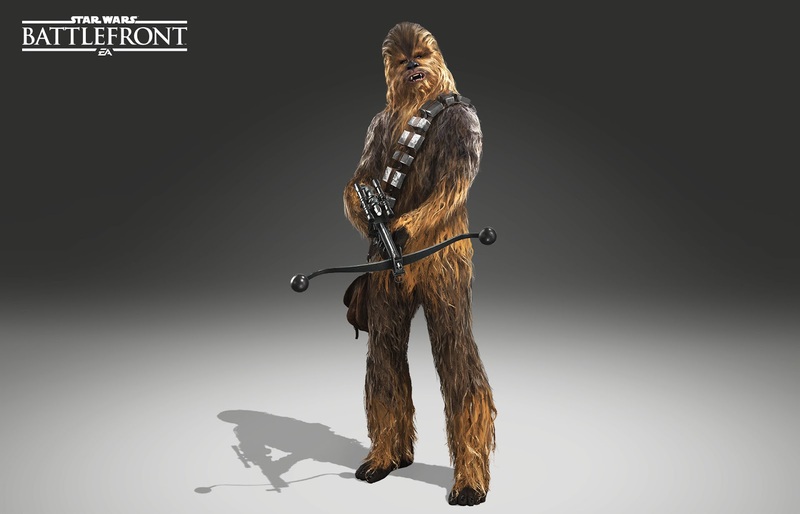 They confirm that Chewbacca will wield his iconic Bowcaster and has a special Furious firing trait(that allows him to fire an extra bolt with every trait level), along with several unique abilities, including Multi-Bolts(which doubles his rate of fire), Mighty Roar(which gives improvements to himself and those around him) and Ground Slam(just as it sounds, causes damage to nearby enemy units when Chewie smashes the ground). 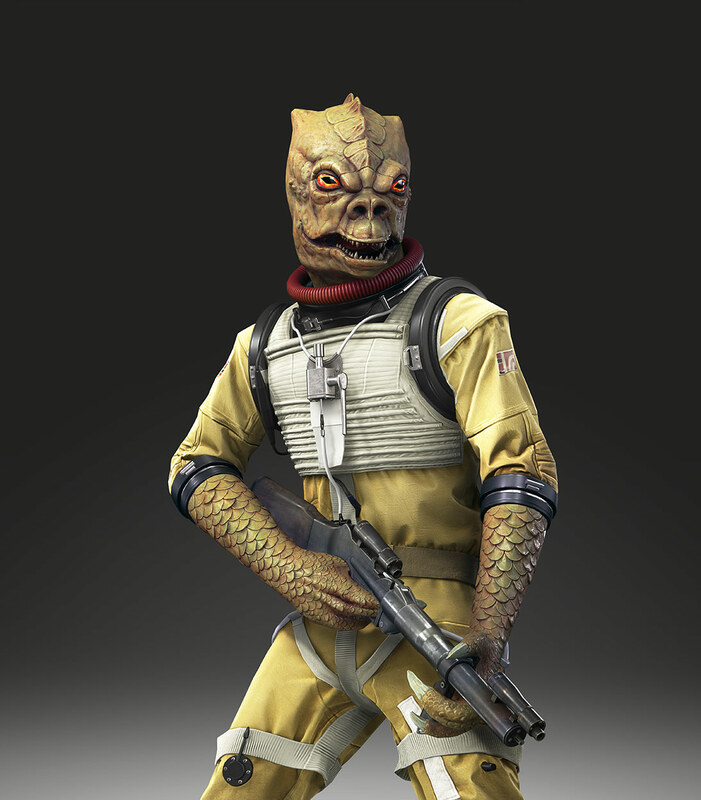 As for Bossk, the bounty hunter carries his Relby-v10 blaster and features a Trandoshan Regeneration trait(allows him to regenerate health with each kill), as well several abilities including Micro-Grenades(turns his blaster into a grenade launcher), Predatory Instincts(allows for heat vision and increased damage and speed) and Toxic Escape(Bossk will jump and drop a Dioxis Grenade). You can read more about Chewbacca and Bossk by clicking here! You may also notice that the Death Star appears to be positioned near Geonosis, and players in Starfighters can even fly through the planet's asteroid belt. In Star Wars canon, a large portion of the Death Star's construction time was spent at Geonosis, before it was later moved to Scarif, which where it appears in Rogue One: A Star Wars Story.